There are plenty of rides throughout both Disneyland and California Adventure that are perfect for preschoolers- and the whole family! A list of our favorite Disneyland rides for preschoolers. 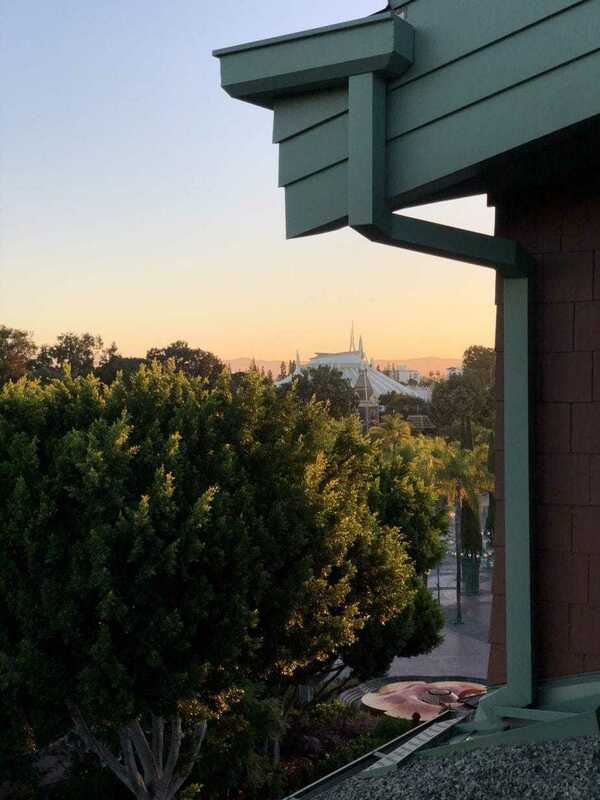 We recently visited Disneyland Parks for the first time- and it was more magical than I could have even dreamed. I will admit though, that I was a bit worried about what we could, and would, do with our young children. Especially since we were visiting during Halloween Time, I didn’t want anything to be scary or overwhelming. I should have had zero worries, however, since there are so many things to do with young children at Disneyland! 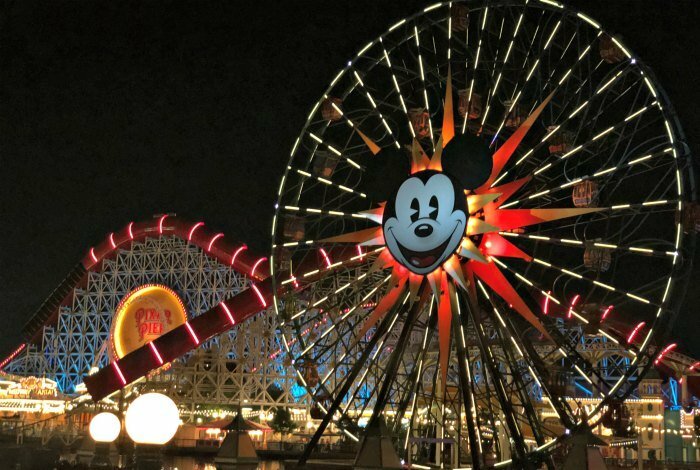 Which Disneyland rides For Preschoolers Should I Choose? 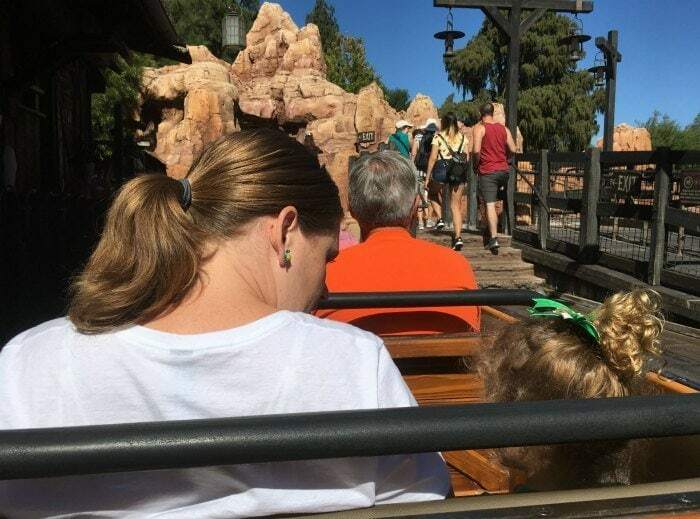 There are so many great rides at Disneyland for preschoolers- but you have to be aware of which rides kids can go on, and which rides your kids should go on. For example, Mr. Toad’s Wild Ride and Space Mountain have relatively low height requirements, but I knew that my kids would find them scary so we avoided those. I wanted the Disney magic to stay alive- and not have sobbing children. 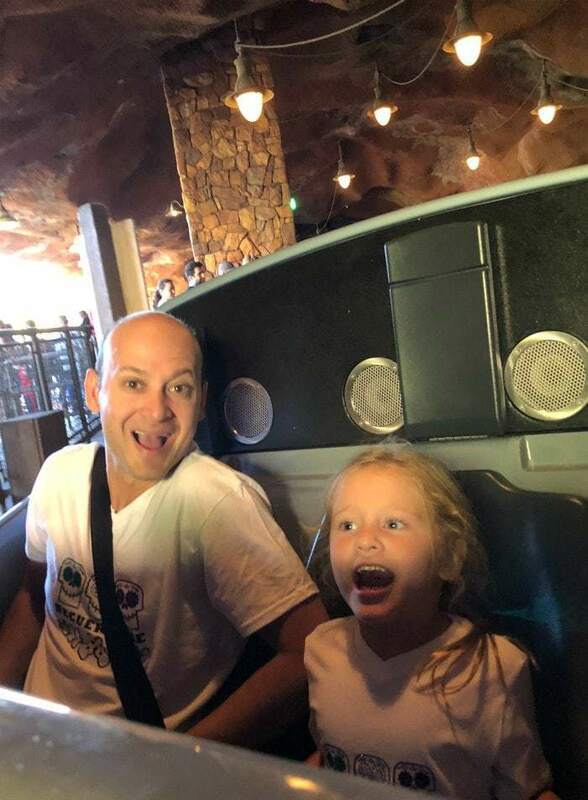 On the other hand, I realized early on the first day that my girls have a need for speed- so we did Splash Mountain and Big Thunder Mountain Railroad and they loved them. All this to say- make sure you are listening to your kids and getting to know their preferences so that they have the most magical time ever at Disneyland. We stayed at the Disneyland Grand Californian Hotel, which has it’s own private entrance to California Adventure, and we had four day parks hopper passes with Max Pass. We also had downloaded the Disneyland app on each of our phones, which I highly recommend. On top of that, we used the paper maps at each park entrance to guide us too. The Disneyland Max Pass is new- and I think it’s the best money you will spend at the park. You can activate Fast Pass right from your phone-which allowed us to save a spot on some of the most popular attractions with the longest lines. Additionally you can do rider Switch, which allows parents to trade their spot in line on bigger attractions that aren’t for the kids (we did this for Space Mountain). the best part of Max Pass? Unlimited Disney Photo Pass! Any park photographer will take your photo and scan it onto your phone- you can download all the photos for free! 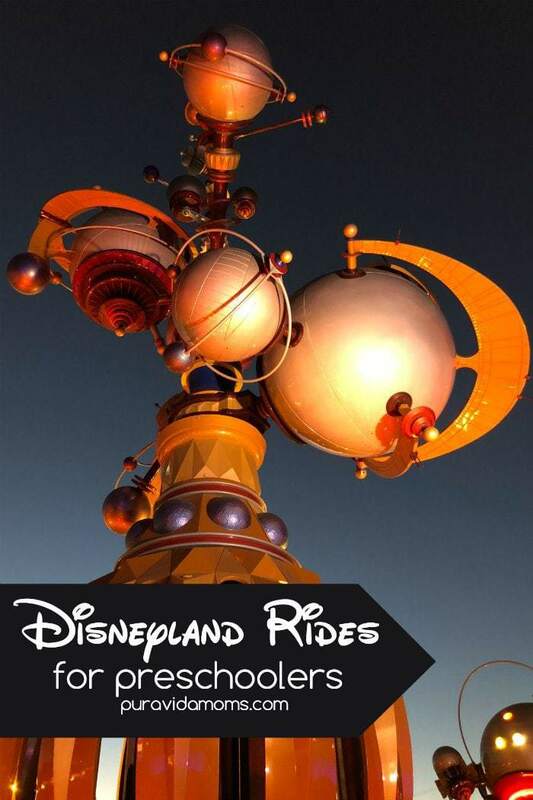 Finally- download the Disneyland app before you even go to the park. It stores your tickets so you can just scan the phone at the entrance to the park. It also has maps and wait times for rides, plus tells you where your favorite characters are located in the park. The Disneyland app also has menus for restaurants in the park, and you can make reservations or order your food in advance using mobile ordering. The app is free- use it! Here’s a list of Disneyland Rides for Preschoolers- and I will highlight a few of our favorites too! The first amusement park ride my kids had ever been on was at Disneyland- and the ride was the Astro Orbitor. Little sister got to steer the car as it went higher and lower and around and around. When she got off the ride she started running towards Main Street screaming “Yes! I did it!” and punching the air with her fist. It only got better from there. 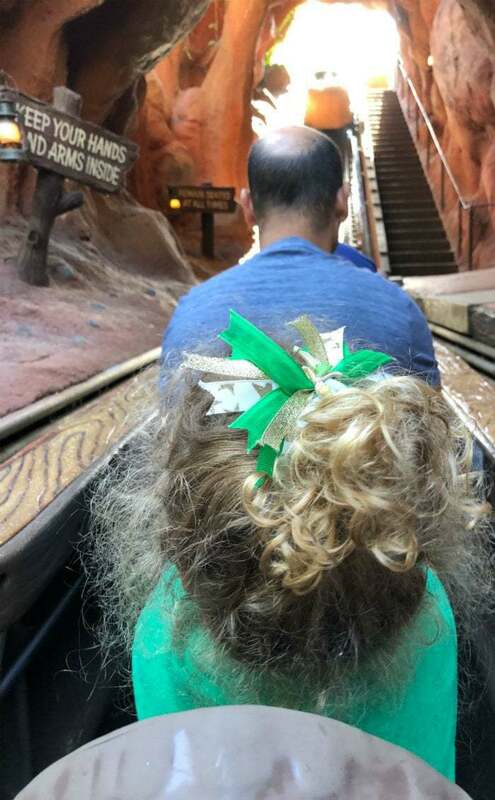 Both girls also loved Splash Mountain and Big Thunder Mountain Railroad- and were underwhelmed by The Jungle Cruise. “it’s a small world” was and is the favorite Disneyland experience of all. Hands down the girls were addicted to speed on the Radiator Springs Racers. They got one taste and it was over! Then they could not stop talking about the “dancing cars” which was actually Luigi’s Rollockin’ Roadsters. We rode The Little Mermaid- Ariel’s Undersea Adventure ton of times during the Magic Hour- we didn’t even have to get off. The AR effects in Toy Story Midway Mania were another hit as the kids can virtually shoot at targets to run up a high score. The Disney Junior Dance Party is NOT to be missed- the kids are still singing the songs from the show and they just loved it! Overall I was super impressed with Disneyland and how they cater to families with young children. 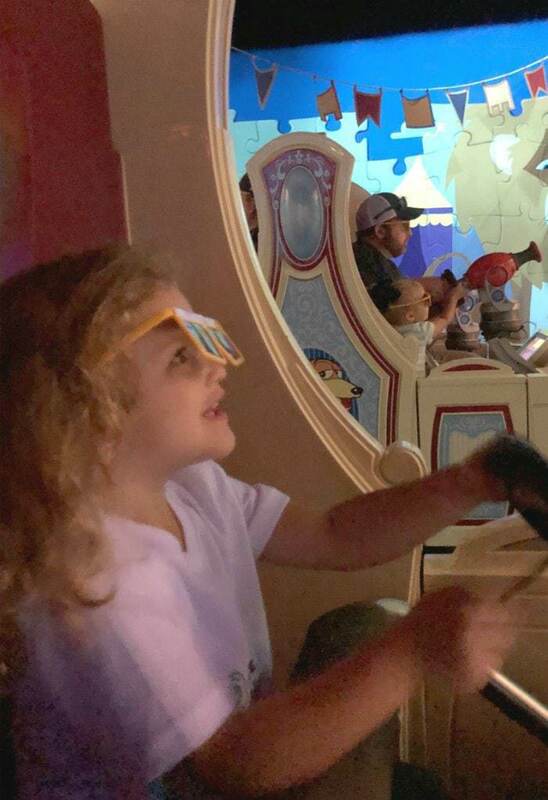 They have tons of resources for parents and children, and there are so many rides that bring the magical world of Disney alive in age appropriate ways. I encourage you you visit with your preschoolers- and prepare for the best time!